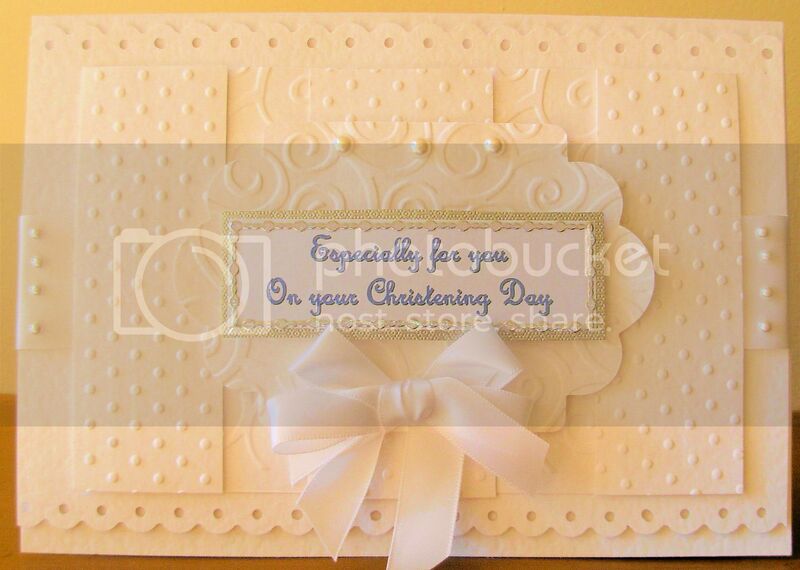 This Card is all white, although it looks cream in the picture. 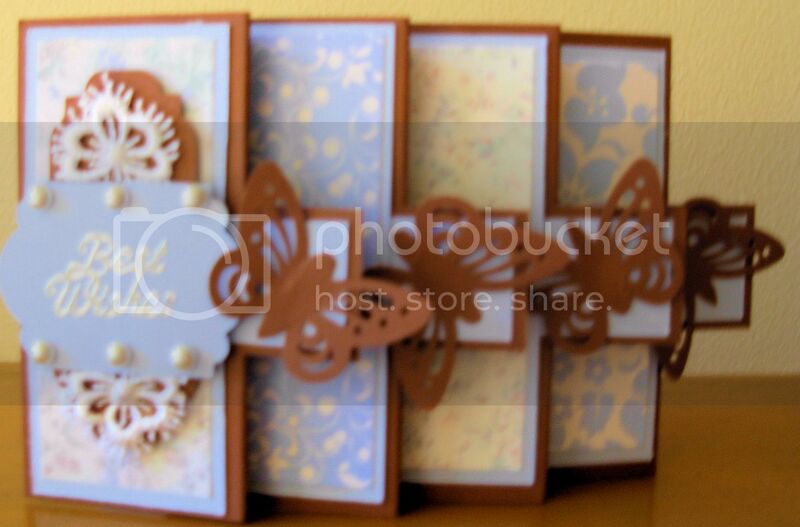 I cut a A5 piece of card and punched it on the 2 long edges, I stuck some wide ribbon around the main panel, the 2 bottom panels are embossed with a cuttle bug swirl design embossing folder and the 3 top panels have been embossed with a polka dot Crafts Too folder, the center panel is again off the cricut, and was embossed with the swirl folder, and I made a little greeting plate and mounted it on silver, used pearls peel-offs and a ribbon to finish it off. 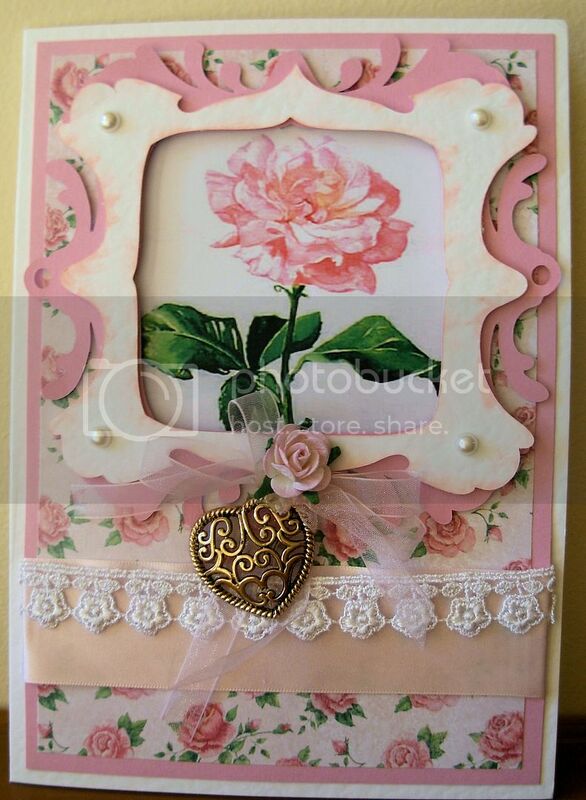 I think this was one of Cards by America Designs which stuck in my head. 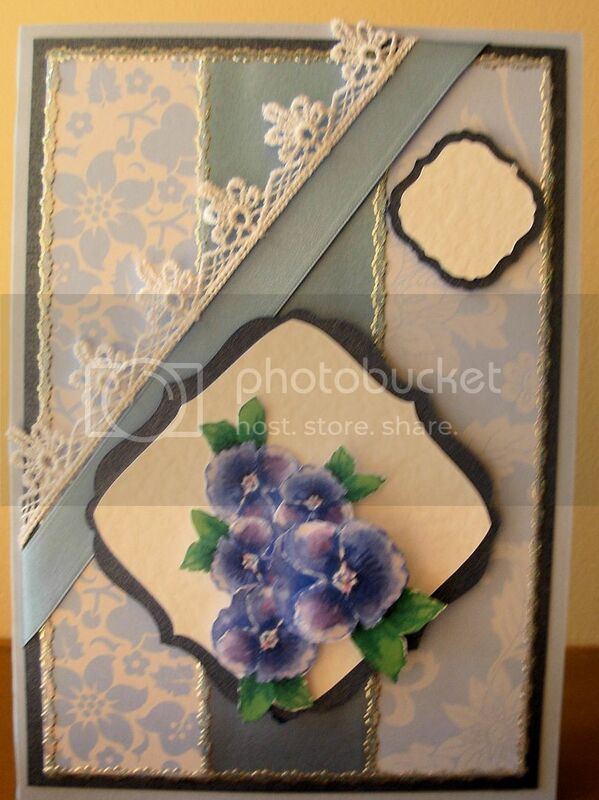 4 cards for ladies all with a very pretty lace finish. Time 10.30 to 2.30 stopping for lunch half way. If you can't make the class, but would like a set of kits posted out to you, please email me.